Korea welcomes 3,000 magicians who will be competing at the World Championship of Magic (FISM Korea 2018). The event takes place from July 9 – 13 at Busan, the largest port city in Korea. 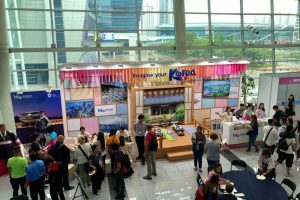 Through the support of the Korea Tourism Organization (KTO) – MICE Bureau, digital banners welcome delegates arriving at Incheon International Airport Terminal 1 and Terminal 2. 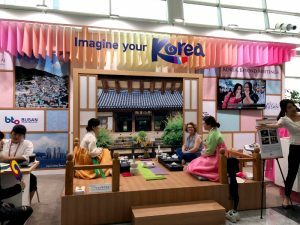 Furthermore, delegates can enjoy numerous cultural experience programs such as participating in a Korean traditional tea ceremony, making a Korean fan, and wearing the traditional Korean costume (hanbok) at the on-site tourism information booth. They can also choose and join from several tour programs that will give them the chance to explore attractive destinations of Korea such as Gamcheon Cultural Village in Busan and UNESCO World Heritage sites in Gyeongju. “We are delighted to host this spectacular event in Korea. We look forward to the magic – the opportunities and legacies – it will bring to the destination.” KTO Convention Team Director Kyungsoo-Yang said.